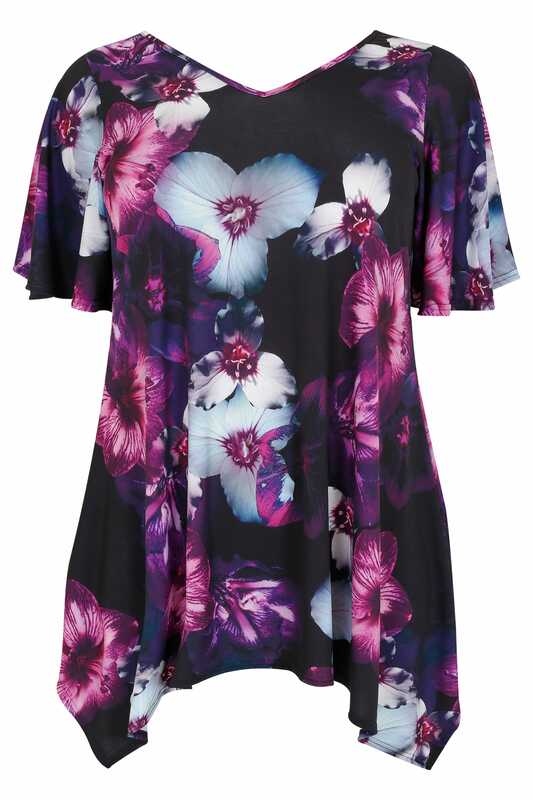 Made from a slinky jersey fabric, this stylish floral top features open sleeves and a hanky hemline. Team with skinny jeans and mules to complete the look. 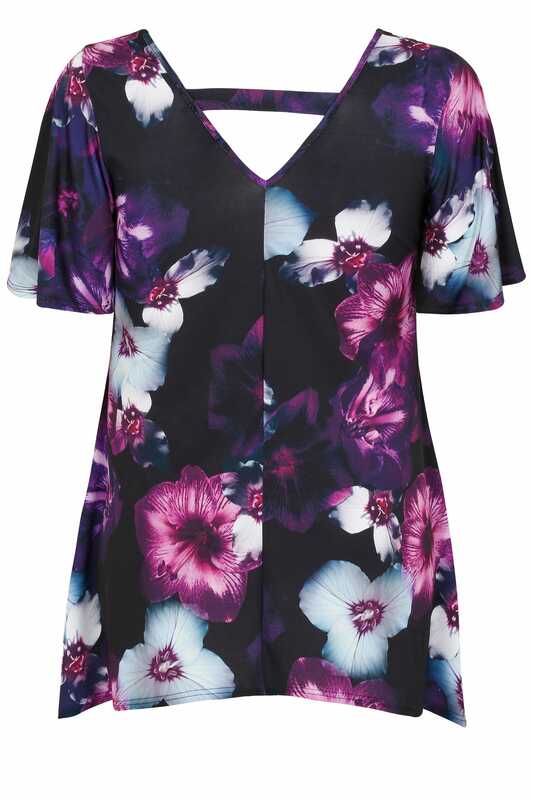 It's perfect for smart casual wear, or dress it up for nights out!